I read today that American author and jurist Joe L. Hensley died recently. I've never read anything by Hensley (unless a short story in an anthology), but I know the rough outline of his career and am pretty sure he was a good writer and a good man. Regardless of my pretty small knowledge of him, there's a sense of loss for me. You see, I've been planning a one-off fiction zine to go along with Isku and my other fanzines. This one would be a sport story zine. Sport stories were a major genre in the original pulps and there were still some sport novels in the paperbacks of the fifties and sixties (and even in the seventies). Lots of writers known better from some other genres wrote for the sports pulps: Lester del Rey, Evan Hunter, James Blish, George O. Smith, William R. Cox... And these were intended for adult readers, not for kids, like sports literature in Europe and Finland quite easily is. Some of the stories were hardboiled in tone, some had crime and even murder in them. And I would've liked to try do a fiction fanzine with only sports stories in it. Maybe three or four Finnish ones, with one maybe a reprint, and of course a story from the vintage pulps themselves. Not a huge seller (as if my mags were huge sellers anywhere), but perhaps fun to do. 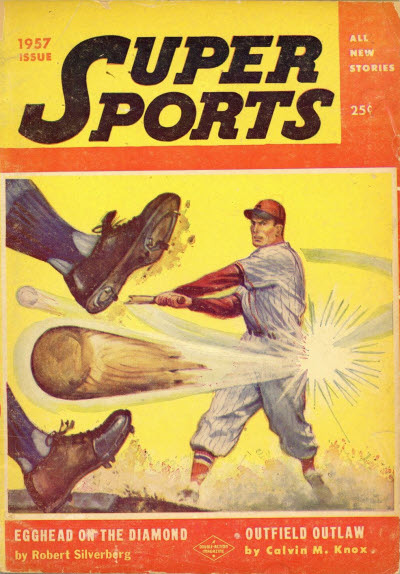 And Joe L. Hensley was one of the few writers alive who did stories for the sports pulps. I'd been thinking that I'd try to contact him - I believe I could've got his address or even e-mail quite easily. Then I would've written to him and asked him a permission. Then I'd have had to hunt for a suitable story. I know lots of pulp collectors and some collect sports mags, even though they don't seem to be very collectible in the US. But no. With Joe Hensley gone, there's no one to ask. 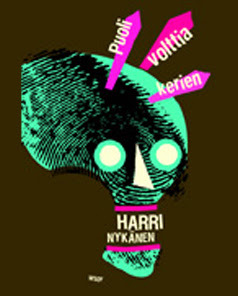 I've been busy lately writing a sequel to my earlier book about forgotten (Finnish) writers. The sequel concentrates mainly on fiction writers, as the earlier volume was about poets. Jess Nevins, who's done marvellous job before about even more forgotten authors, seems to have felt what I'm doing and shares the pain. But who the heck is T. Arthur Plummer..? I've been listening to England Dreaming, a collection of pre-punk, punk and post-punk compiled by Jon Savage. One of my favourites in there is "TVOD" by The Normal, a very funny and catchy cheap synth piece. Check it out here - someone's made a nice rock video of his/her own. My dismissal of John Gardner (based mostly on his lesser novels) got me into a state of shame, so I'll link to this fine obituary of Gardner by Jim Doherty. SYBERBERG-SEMINAARI maanantaina 27.8. kello 16-20 elokuvateatteri Orionissa (Eerikinkatu 15). "Uuden saksalaisen elokuvan" omaleimaisin tekijä, elokuvaohjaaja ja multimediataiteilija Hans Jürgen Syberberg syntyi Saksan Nossendorfissa vuonna 1935. Syberberg on yhdistänyt esseemäisissä jättiläisteoksissaan Wagnerin ja Brechtin esteettiset näkemykset. Saksassa Syberberg on herättänyt voimakasta polemiikkia; muualla hänen lähestymistapaansa saksalaiseen historiaan on ylistetty. Yhdysvaltalainen kulttuurintutkija Susan Sontag totesi, että ohjaajan seitsemäntuntinen Hitler, elokuva Saksasta kuuluu 1900-luvun upeimpien taideteosten joukkoon. Tabujen rikkojana kunnostautuneen ohjaajan retrospektiivi nähdään Helsingin juhlaviikoilla elokuvateatteri Orionissa 24.8.-1.9. (& 8.9.). Elokuvaretrospektiivin yhteydessä järjestetään maanantaina 27.8. kello 16-20 seminaari "Hans Jürgen Syberberg - kuvainraastaja Saksasta". Hollantilainen mediatutkija Petrus Nouwens saapuu Suomeen kertomaan Syberbergistä Saksan historian poleemisena tulkkina, joka on teoksissaan yhdistänyt Theodor W. Adornon ja Martin Heideggerin esteettisen filosofian. Nouwens viimeistelee parhaillaan väitöskirjaansa Syberbergin tuotannosta. Seminaarin muina puhujina kuullaan suomalaisia Syberberg-tuntijoita. Taiteentutkija Martti-Tapio Kuuskoski tarkastelee Syberbergin tuotannon kehitystä kokonaisuudessaan ja Wagner-spesialisti Pekka Asikainen analysoi Syberbergin versiota Richard Wagnerin musiikkidraamasta Parsifal. HUOM! Helsingin juhlaviikkojen Syberberg-tapahtuman yhteydessä julkaistaan myös kirja"Syberberg - kuvainraastaja Saksasta"Kirjan tekstien kirjoittajat: Hans Jürgen Syberberg, Susan Sontag, Gilles Deleuze,Petrus Nouwens, Pekka Asikainen, Martti-Tapio Kuuskoski, Laura Lindstedt. Monet vastustavat perustulon ajatusta, koska kaikille jaettava perustulo, esimerkiksi 400 euroa, maksaisi enemmän kuin mitä Suomen valtion budjettiin tällä hetkellä mahtuu. Kansalaistulon pitäisikin olla vapaaehtoinen: yritysjohtajat ja muut, jotka hiukankin kokevat, etteivät tarvitse valtion auttavaa kättä, voisivat luopua siitä erillisellä ilmoituksella. Nyt tuntuu lähinnä siltä, että tällä perusteella ajatusta vastustavat juuri ne, jotka eivät perustuloa tarvitsisi. Recently I watched two films that bear resemblance to each other and have also somewhat noirish tone: The Deep End, based on The Blank Wall, Elizabeth Sanxay Holding's excellent and underrated novel, and Jonathan Glazer's Birth from 2004 that has Nicole Kidman experiencing a rebirth of his dead lover in the form of a ten-year old boy. I didn't see all of it, but the rest seemed intriguing enough to hold my interest (and for me to tape the last 45 minutes). The pace is deliberately slow and nothing is really explained, but I was left wondering what the makers of the movie wanted to say. The film really didn't seem to have much beneath its surface, but I seem to have grown a liking to Nicole Kidman and her frail, yet determinate figure. However, I thought this was a much better film than The Sixth Sense by M. Night Shyamalan it resembles. The Deep End however struck a chord. Holding's novel - which you all really should read - is a clever female noir text, in which Holding handles the theme of a lonely housewife at mercy of a weird and scary world very well. Her prose is so simple that it may fool you to think there's nothing in the book, but there's also hypnotic feel to it. Raymond Chandler held Holding in high regard, and so does Ed Gorman who took care of getting some titles into print recently - the book was first published in 1947. It was filmed pretty soon, but I haven't seen that film. The one I saw was the new version from 2001, written and directed by Scott McGehee and David Siegel who also made Suture (1993) which I haven't seen. Unfortunately, since The Deep End captures Holding's theme and mood very well and the modernization had been made with style. Everything seems implausible at first, just like in the original book, but then you realize there's nothing these people really can do. The housewife is falling in love with a petty crook, but that's not because of his good looks - it's a matter of intricate play of identities and identification. There's no one else she can cling herself to, her husband is always away (we never hear him even speak). The housewife, played marvellously by Tilda Swinton, seems very powerful and very weak at the same time - which is pretty much true of almost everyone I know. There's only point in the movie I didn't like: Tilda Swinton is great in the lead, but her looks - her feel - are definitely British. merkittävä, fantasiaa lajityyppinä uudistava teos. piirteitä, jotka on rapsuteltavissa sivistyksen pintakerroksen alta esille. todellisuuden puuttuminen ovat osa kirjailijan rakentamaa kokonaisuutta. kiehtovia salaisuuksia sisällään hautova olento, jolla on sielu. kirjoitettuihin teksteihin on vaikea olla rakastumatta. I put two new movies on my MySpace account. They are what all my nine viewers have to come expect from me: short one-shot movies. They are not for everyone's taste. And have nothing to do with pulp or anything like that (even though one of the theories I cherish and sometimes will elaborate on is that the most commercial and the most experimental have something in common, I just don't know what it would be; it was Woody Haut who once said that pulp and poetry both begin from scratch). The Bald Brothers on stage, for the last time. I'm having quite a fierce expression on my face. Believe it or not, but I did a day's work on Friday after this. "Jos laatua määritellään sisällön kustannuksella, päädytään väistämättä tylsiin ratkaisuihin." Käsitykseni Ylestä ja sen johtajista ei ole ollut pariin viimeiseen vuoteen kovin korkea, mutta enpä tiedä, nouseeko sen tämän johdosta montakaan pykälää. Lending libraries are a phenomenon that's not generally known in Finland. I don't know for sure, but there may have been some in the 19th century and in the beginning of the 20th. Lending libraries flourished in the US and the UK in the 1930's and 1940's and some lasted into the sixties. You had to pay a small fee to lend the books. (At least that's how I gathered the thing worked.) There were also some publishers who put out only books targeted for the lending libraries. In the UK, Robert Hale started out doing these and they still do books mostly for libraries. Here's a very nice site about American lending library publishers, especially the ones that did crime and mystery novels. British spy novelist John Gardner passed away recently. Elsewhere I promised to say something about him, but as I don't have time at the moment, I'll just make a link to some posts I've written about Gardner. I didn't like the Oakes books and his James Bonds, but this doesn't mean that I wouldn't like his other, more serious novels. I just haven't tried them. We've put our next new title up on our Web site: THE MURDERER VINE by Shepard Rifkin. It's a powerful book that fictionalizes the same historical events that inspired the movie "Mississippi Burning," with the addition of a really stunning crime fiction twist. The author has an interesting history himself: now 89, Rifkin served on the S. S. Ben Hecht in 1947 and was imprisoned by the British in Acre Prison (a fortress on the northern coast of what is now Israel) after a failed attempt to run the British blockade of Palestine while transporting hundreds of refugees from the Holocaust. Rifkin and his crewmates were released -- but not before smuggling a camera into the prison, enabling what has been called "one of the most spectacular prison breaks in history." None of which has anything to do with THE MURDERER VINE -- but what a great story! The cover for THE MURDERER VINE is by an artist new to Hard Case Crime, Ken Laager, and it's a doozy. You can see it and find a sample chapter from the book at www.hardcasecrime.com. In other news, we have reached an agreement with best-selling suspense and horror author John Farris to bring out a new edition -- for the first time in 50 years, and the first time ever under his real name -- of one of his earliest novels, a tight, tough crime story called BABY MOLL. John wrote the book under the pen name "Steve Brackeen" when he was just 21 (two decades before he won fame and fortune as the author of THE FURY), and the book holds up beautifully after all these years. Robert McGinnis is hard at work on the cover. And after four years of trying -- tracking down leads, exploring dead ends, putting out feelers, wearing out shoe leather -- we have finally succeeded in tracking down the estate of Steve Fisher. 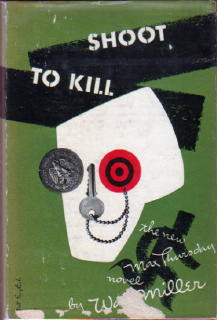 Fisher was a popular pulp writer, best known as the author of I WAKE UP SCREAMING. He also wrote countless hours of film and television, including two films for Humphrey Bogart (he and Bogie were friends). In 1958 he published what I think may be his best book, a novel of Las Vegas titled NO HOUSE LIMIT. And we'll be bringing out a new edition of that book next year. Then in October it's time for Ken Bruen and Jason Starr's SLIDE, sequel to their very popular first collaboration, BUST...followed a month later by the first new Mickey Spillane novel in years, DEAD STREET. It's going to be a busy fall.But for now, I hope you enjoy the last days of summer. And remember: Nothing goes better with a tall glass of lemonade than a cool, dark crime novel. It also turned out that it was a good thing that I didn't make it. I heard from a reliable source that the contract they are offering is a vanity press contract. There will be a print run of 200 (which is very small, even in Finland) and the writer has to buy half of the books for himself! (And in cash!) I've pretty much suspected this, since the publisher puts out so many titles a year, but there's no mention of it anywhere on their site. I hope The Union of Finnish Writers (Kirjailijaliitto) makes a case out of this. It's worrying that vanity presses are really coming to Finland. There are lots of writers who want to have their books published, but the results are so poor or mediocre they never make it. There are of course those who say that the publishers are stupid and that they - the writers - are great. You know, Vincent van Gogh didn't make it either. (I just read someone calling this the Van Gogh Fallacy: because van Gogh didn't make it and I can't make it, it means I'm a great artist too.) The vanity presses are making money on these writers and what's more important, they really don't promote their books. Do you see them in book stores? I don't. Do you ever see any reviews of them in magazines? But they get all the money. Meillä on ilo ja kunnia kutsua teidät ensimmäisen Tähtifantasia-palkinnon jakotilaisuuteen*tiistaina 21.8. klo 11.00 Kolmen sepän kirjakauppaan*. Nyt ensimmäistä kertaa jaettava Tähtifantasia-palkinto luovutetaan parhaalle vuonna 2006 Suomessa ilmestyneelle käännösfantasiakirjalle. Palkintoa ovat vastaanottamassa kustantajan edustaja sekä kirjan suomentaja. Fantasiakirjallisuuden suomennosten kirjo on viime vuosina ottanut aimo harppauksia eteenpäin.Enää tarjolla ei ole vain *J. R. R. Tolkien* ja *Harry Potter *-klooneja, vaan Suomessakin julkaistaan yhä enemmän kirjallisesti ja älyllisesti korkeatasoista, aikuislukijoille suunnattua fantasiakirjallisuutta. Tule nyt kuulemaan fantasian monimuotoisista ja omintakeisista ilmenemismuodoista, jotka ovat nostaneet genren yhdeksi nykykirjallisuuden kiinnostavimmista ilmiöistä. Tähtifantasia-palkinnon myöntää Helsingin SF Seura ry, joka on jakanut jo yli kahdenkymmenen vuoden ajan arvostettua Tähtivaeltaja-palkintoa parhaalle Suomessa julkaistulle tieteiskirjalle. I received a letter this morning from a widow of a Finnish author whose old story from the late sixties I wanted to reprint in Isku. She said, politely, no, I can't do that. No explanation, just a short note. The title refers to this. As for that case, everything turned out fine. The "evil and greedy brother" phoned me in the end and turned out not to be greedy and evil at all. The two brothers and their sister had made a deal about reprinting and everything was okay. It's just that the book isn't out and it's been delayed for over 1½ years now, and it seems like the publisher wants to cut the curiosities out. If that happens, I'll deal with the heirs again and ask for the reprint rights for Isku. That's at least something. Oulussa järjestetään elokuvateatteri Studiossa 28.9.2007 näyttelijä John Waynen elämänvaiheita ja uraa hahmottava seminaari. Sen luennoitsijoina toimivat tutkijat Pekka Tuliara ja Markku Varjola. John Waynen (1907-1979) syntymästä tulee kuluneeksi 100 vuotta 2007. Yli 140 elokuvassa vuosina 1926-76 näytellyt Wayne kuuluu yhä lännen- ja seikkailuelokuvien tunnetuimpiin tähtiin - käytännössä voi puhua ikonin asemasta.Waynen ura lähti varsinaiseen nousuun vuonna 1939 valmistuneesta lännenelokuvasta Hyökkäys erämaassa jälkeen, vaikka hän oli jo ennen tuota esiintynyt yli 70 työssä. Waynen edustama sankarikuva kehittyi erityisesti 1940-50 -lukujen kuluessa: se säilyi maskuliinisena, mutta sai myös ristiriitaisia, neuroottisia piirteitä. Muistetuimmat elokuvansa John Wayne teki yhteistyössä sellaisten ohjaajien kuten John Ford ja Howard Hawks kanssa. Välillisesti hänen töissään heijastuvat Yhdysvaltain poliittinen ja kulttuurinen muutos aina 1930-luvulta 1970-luvulle asti. Waynen tähtikuvaa hahmotettaessa päällimmäisenä nousee esiin sen amerikkalaisuus, joka liittyi myös näyttelijän valkokankaan ulkopuoliseen persoonaan. Seminaari pyrkii luomaan kokonaiskuvan niin Waynestä henkilönä kuin hänen urastaan. Luentojen aiheina ovat "John Wayne: tähtinäyttelijän ura", "Wayne kuumassa ja kylmässä sodassa" sekä "John Waynen lännenelokuvat". Tapahtuman yhteydessä esitetään luentojen lisäksi hänen testamenttityönsä, Don Siegelin 1976 ohjaama western Revolverimies. Seminaariin ja elokuvaesitykseen on vapaa pääsy. Do you think there's a resemblance to these two covers, the other being an older book by Wade Miller and the other being a rather recent collection of crime short stories by a Finnish writer, Harri Nykänen? Well, when I first saw the Miller cover, I was reminded of the Nykänen cover and I thought first that a case of plagiarism could be made, but now that I look at them side by side, my reaction seems pretty far-fetched. Here I go bragging about a story by Christa Faust and not linking to it, even though it was first published in the Muzzle Flash's flash site. (I understood it's going to be included in the Out of the Gutter print zine.) Here it is. Zum Teufel - underground-ullakko avattu Turussa tänään! En ole aivan varma, olenko ymmärtänyt kaiken enkä pysty keskustelemaan politiikasta ja taloudesta kovinkaan syvällisesti, mutta miten on mahdollista, että kaksi keskeisintä vaaliasetta, hoitohenkilökunnan palkkojen nosto ja ruoan arvolisäveron laskeminen, unohdetaan tuosta noin valtion budjetissa? Eikö tämän tyyppisistä asioista pitäisi jo nousta kansanliike, mielenosoituksia, barrikaadeja? As I mentioned earlier, I read two novels by Stephen Greenleaf recently. Greenleaf was never big in Finland (he may have never been big in the US, either) and the publisher really didn't promote the books enough and he has dropped pretty much out of sight and I don't think anyone here really remembers him. Except for some aficionados of the private eye genre, people like me. I remember really liking Greenleaf's books even when I was a teenager. Reading the books again now, I realized that in my own writing during that time I tried to write like Greenleaf. (You can only try to realize just how close I got. What do you expect from a fifteen-year-old?) Greenleaf is very close to Ross Macdonald, another favourite writer of mine, but while Macdonald is more psychological and Freudian, Greenleaf is more openly sociological, even though there are the same psychological themes as with Macdonald. Both even overuse the similes every now and then. Greenleaf writes with great verve and insight about small towns and their petty political games and the losers who try to hang on to their dignity. His hero, John Marshall Tanner, is a very sympathetic man, even though he tries very hard not to show it. The books I read were Greenleaf's first, The Grave Error, and State's Evidence. Between the two, I can't really make any valuation, but maybe The Grave Error was better of the two. Ed Lynskey here, in his very good article and interview with Greenleaf, claims it's one of the best detective novels ever. I might agree with Ed. In Finnish, there were eight translations (which is quite a good number, but given Greenleaf's total anonymity in Finland now this is quite striking), one of which being his mainstream novel, The Ditto List (Erolista in Finnish). PS. Check out also the other contesters. In the last day of my holiday, I read another Australian western paperback, A Killer Can Die by Brad Cordell (published in 1980 in Finnish with a misleading title Preerian painajainen). Brad Cordell was actually Gordon Clive Bleeck, who was one of the most prominent Australian paperbackers and pulpsters. It shows here: the story moves on swiftly and economically, even though there are no big surprises. Some of the plot points seemed a bit arbitrary, though. Still a pretty enjoyable and unpretentious yarn. Bleeck died already in 1971 and had given up writing in the fifties, so this must be from that era. It seems, though, from the Australian National Library's website, that some of Bleeck's stuff under the Bard Cordell byline was reprinted as late as 1984. I almost forgot to mention that I tried to read Daniel Woodrell's Give Us a Kiss. Emphasis on "tried": I dropped the book somewhere in the middle. Woodrell's been one of the best reviewed new (or newish) American crime writers and he seemed just like my man. But no. The book was very well written, but there wasn't much plot to attach to and I didn't believe in the main character, a macho prison guy who's written four novels and who reads Carson McCullers and John McGahern. Woodrell's other books have seemed very interesting, but I don't think I'll be trying them very soon.